Car of the Year 2011 gallery | What Car? Where do you go when you need a city that can provide 16 different, but equally stunning backdrops? Liverpool. 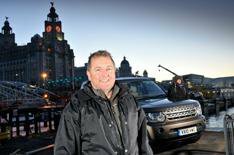 Liverpool was the perfect venue for our Car of the Year photography. Its modern and cosmopolitan, yet steeped in history. Wherever I took my camera there was a fantastic atmosphere helped no end by the can-do attitude of so many of the locals. Here are all the photographs for you to enjoy in one place. Use the index below to find out where each photograph was taken, then browse the full gallery at the bottom of the page. We've also got a video of how John and the rest of the team at work on the Car of the Year photography.